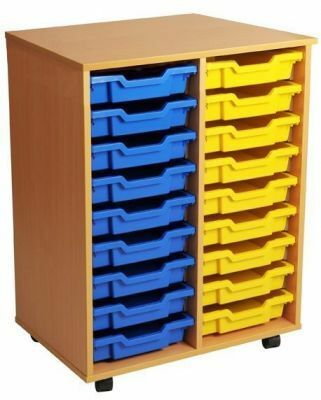 Classroom double storage unit each side holds18 Gratnell trays in a choice of colours. 18mm MDF carcass in a choice of three finishes: Oak, Beech and Maple. Delivered, assembled, free to mainland UK. Carries a 12-month factory guarantee.